Truman David Julian, age 73, died peacefully at his home surrounded by his loving family in the early morning of Wednesday December 5, 2018. Truman was born on April 18, 1945 in Kemmerer, Wyoming, the first child of Don and Josephine (Angelo) Julian. Truman married Marie Fagnant on August 20, 1966 in Kemmerer. This union was blessed with three children Don, Dave, and Trudi. 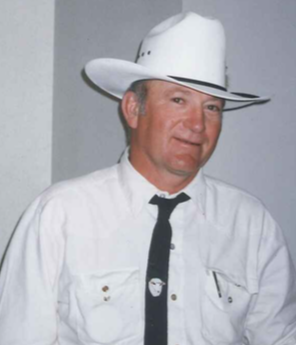 Truman grew up on the Rock Creek Ranch west of Kemmerer and attended schools in Kemmerer and the University of Wyoming, ultimately graduating with a Master of Science degree in Range Management. After short stints with the Forest Service and Wyoming game and fish department as a big game biologist, Truman returned to his roots by buying his Uncle Charles Julian’s sheep operation and joining his father Don to create Julian Land and Livestock Corporation. Truman’s Grandchildren are now the 5th generation to work on the family sheep ranch. Truman was a passionate and relentless advocate for the agriculture industry throughout his career, ultimately rising to the level of President of the National Public Lands Council during which he spent significant time in Washington D.C. fighting for the future of agriculture in the U. S. He stayed active in service throughout most of his career holding offices as President of the Wyoming Wool Growers, board member of Western Range, chairman of the Lincoln County school district #1 board, and chairman of the Kemmerer Joint Powers Board along with numerous other board memberships. He was named 1994 Ag Citizen of the year by the Wyoming Livestock Roundup, and 1998 UW College of Agriculture outstanding alumni. Along with tending his flock, Truman’s greatest joy in life revolved around family. He greatly enjoyed traveling around the state watching his children and 8 grandchildren participate in athletics. He was probably happiest taking his grandchildren on summer pack trips into the mountains to check on the sheep, and he loved to hunt and fish. His favorite fishing hole was Lake Alice and the home ranch on Rock Creek. Truman is survived by his loving and devoted wife Marie of 52 yeasrs, sons Don(Jeannie) and Dave(Shannon), daughter Trudi(Jim Hoffman) all of Kemmerer, 8 grandchildren, two sisters Kathy Klint of Globe Arizona and Janice(Odell) Rinderknecht of Howell, Utah along with numerous nieces and nephews . He is preceded in death by his parents and his brothers Charles and Royal. Rosary will be recited on Sunday December 9th at 7 pm at St. Patrick’s Catholic Church in Kemmerer with the funeral to be held on Monday December 10th at 10 am. Interment will follow at the South Lincoln Cemetery in Kemmerer.